Attention Cat Lovers! This Is Weekend Cat Blogging #53! 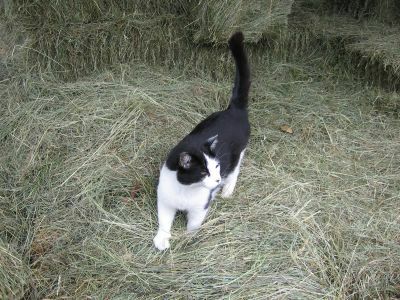 See fun feline photos & discover tasty new food blogs. Visit my pal Clare & her cool cat Kiri over at Eat Stuff in Australia for all the links to this week's kitties. For more cat candids, catch the traveling Carnival Of The Cats each Sunday night. And the weekly Friday Ark boards everything from felines to dink frogs. Pining for something more edible than pet pics? Don't miss the always tasty Weekend Herb Blogging roundup, appearing this Monday at Sweetnicks.